Superdry men's Parachute cargo pants. A great alternative to jeans, these cargo pants feature six front pockets, two rear pockets and a zip fly fastening. 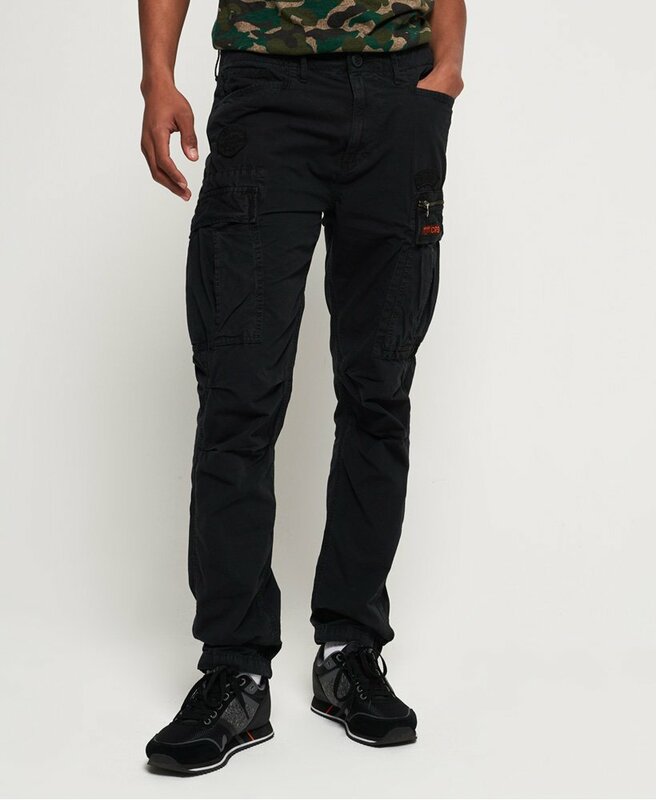 Completed with a logo badge on one front pocket and another above one back pocket, these straight fit cargo pants are a great wear with anything style. Pair with a t-shirt for a relaxed look, or style with a button down shirt for a smart yet casual look.